The Henderson Alliance is making strong headway, with more members and contributing firms getting behind the cause, as well as international shipbuilders. Since the formation of the alliance earlier this year, the group has grown to 26 full members and a further 44 contributing firms. The alliance aims to provide a voice to industry and government for SMEs in defence, provide a platform for SMEs to form partnerships to allow participation in larger scale projects, and to create a forum for networking, mutual support and innovation. Manager of strategic partnership with IKAD Engineering and key spokesperson for the Henderson Alliance Darryl Hockey told Defence Connect businesses are seeing the positive outcomes the alliance can provide and are keen to get on board. "The Henderson Alliance is going from strength to strength, now with 26 full members and a further 44 firms contributing to the broader cluster," said Hockey. "The model offers many benefits to shipbuilders and small businesses alike, however it requires considerable ongoing commitment, input and development to be permanently successful." The alliance has also made big steps towards better industry and government engagement and is looking at further developing the skills of its members that are tendering for contracts. 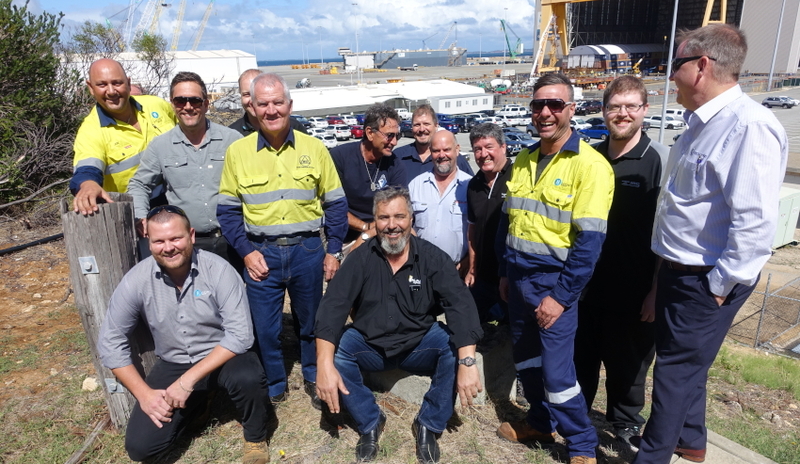 "The alliance cluster concept is very appealing to some overseas shipbuilders who are now liaising with us to help meet their local content targets – and we have attracted very positive support and encouragement from senior levels of government and industry," Hockey noted. "Just now the alliance is looking at capability improvement training for our members to ensure they can further present themselves as an attractive proposition for major contractors." Companies part of the alliance include Host Group, IKAD Engineering, L2S Engineering, Marine Construction Services, Marine Inspection Service, Marine Technicians Australia, Mackenzie Marine and Towage, PMC Group, Pozztech, Weldtech, C&J Rigging, Heat Exchangers WA, Kulin Group, PQR Quality Solutions, Subcon and Watmarine Engineering Services.